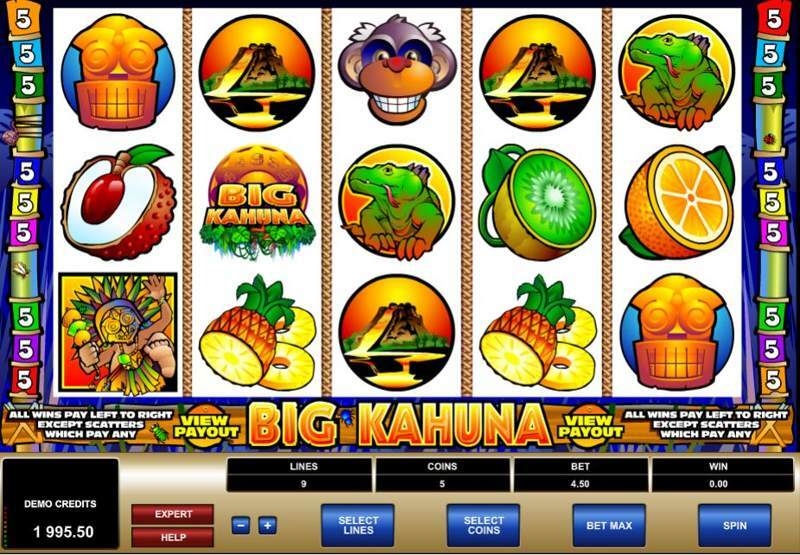 The Big Kahuna slot from Microgaming is one of the most colourful we have actually played on. In terms of theme, it’s a little tough to really define anything specific; it is more based around a mash-up of everything that’s tropical, really. The 5 reel, 9 payline setup is in operation for this game, and whilst it isn’t one of our favourite setups it works pretty well for what this slot is all about. Simplicity. It’s a slot that will offer players a low output of coins – maxing out at just 45 coins per spin – but also a good range of features such as wilds, scatters and two bonus rounds. As we mentioned, Big Kahuna lacks a little bit of identity in all honesty. The colours are really vibrant though and we have tried this out on the mobile device as well with the added definition which makes it pop once again. You get a mixture of fruit, animals, relics and seemingly everything in between. 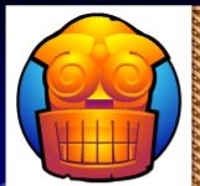 Let’s kick this section off with the wild symbols that come in the form of the Big Kahuna logo. Whilst these do your standard trick of subbing in to complete any winning payline, getting 5 of these pays out at 8,000 coins which is actually your biggest win combination in the game. Any Wild will offer some form of payout in itself as well. 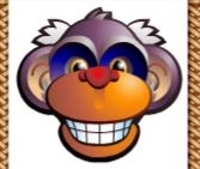 The scatter symbols is the rather creepy looking monkey and anything from two or more will result in some form of bonus. The number of scatters you pick up will be multiplied by your stake and added to any winnings from that payline. 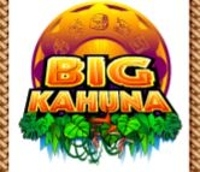 The inclusion of two bonus games on the Big Kahuna slot is probably what makes it really stand out as a low exposure game. 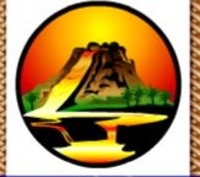 The first is the Volcano bonus which requires you pick up three or more of the Volcano symbols. Once you’ve done this you will have a choice of choosing two options to help save the villagers from the exploding volcano. The second comes in the form of the Mask bonus which will take you to another pick and play game. This time you get ten masks to choose from where you must make one pick and from here will win anything behind that mask. These range from coins, to free spins, to multipliers on winning paylines.